“Intersection. 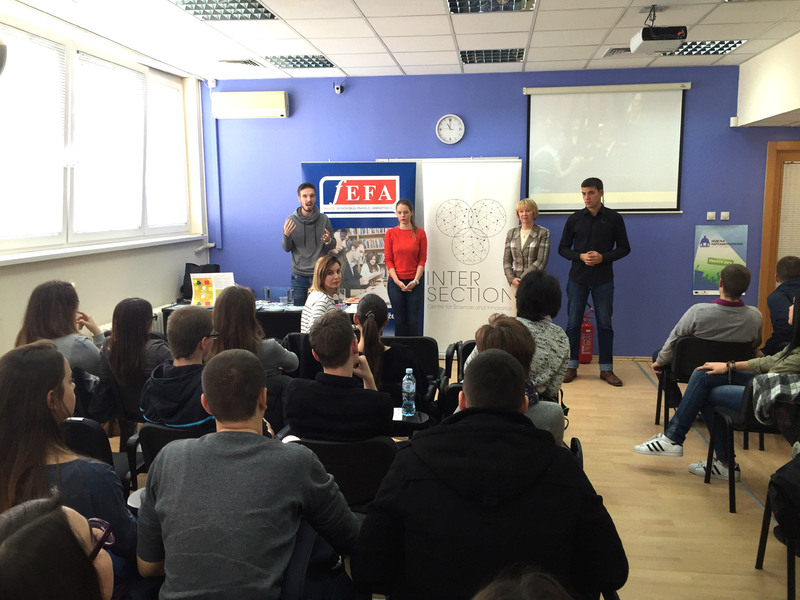 Centre for Science and Innovation”, with the support of Faculty of Economics, Finance and Administration (FEFA), within Parliamentary Week announced a new cycle of the project “European Student Parliament” to high school and university students aged between 16 and 19. The project will take place both in Serbia and in many European countries. Five finalists from each country will participate in the final debate in Manchester during Europe’s largest scientific conference EuroScience Open Forum (ESOF) in July 2016. Ana Trbović and Divna Vučković, Intersection representatives, welcomed the audience, and then the finalists of last year’s debate, which was held in June 2014 in Copenhagen, Jelena Glišić, Lazar Bulić and Bogdan Radičević, shared with their peers the experience from Belgrade and Copenhagen. 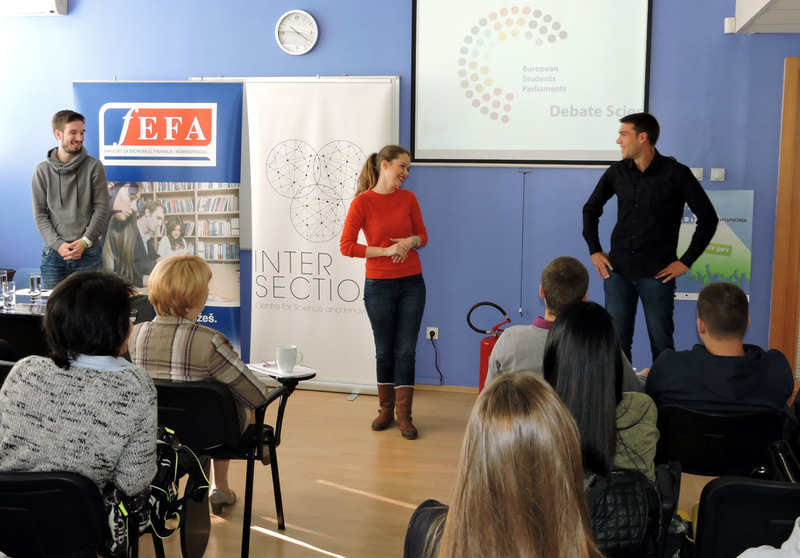 Jelena, Lazar and Bogdan described in details simulation of parliamentary work and emphasized the importance of scientific debate and the role of youth in this complex process, which directly affects their daily lives and the community in which they live. “The goal of the European Student Parliament is to introduce young people to the world of parliamentarism and engage them in issues of research and science” explained to the audience Jelena Glišić. “We have learned how should real parliament function and how identified problems and possible solutions based on scientific facts lead to formulation of the positions of the committees, and voting for the resolutions that will make positive changes in society”.